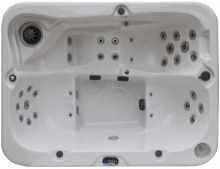 The large 3 seated Evolution spa. This spa feels at home, everywhere. Dimensions 220 x 169 x 79 cm.